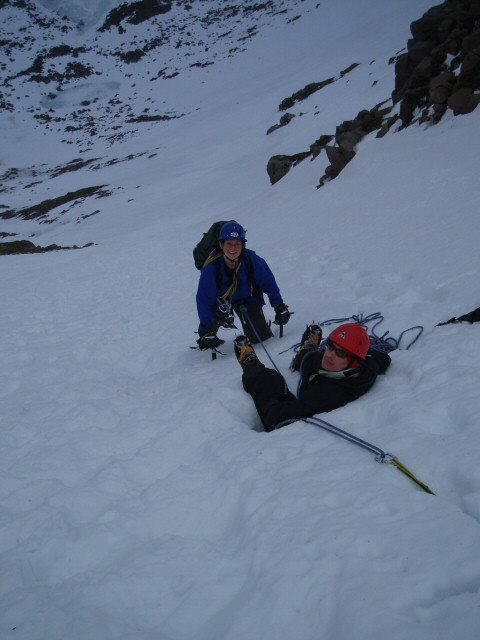 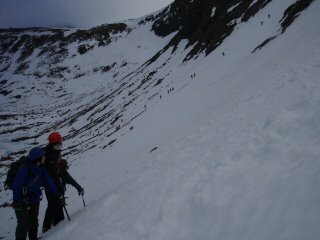 Mark and Becca climbed Half a Gully at the back of Coire an t-Sneachda whilst Gareth and I watched on and enjoyed the views. 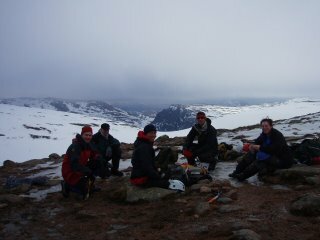 The snow was great, the views appeared and we met up with Ron and Morris at the top for a group photo. The corrie was busy with loads of folk out enjoying the day!